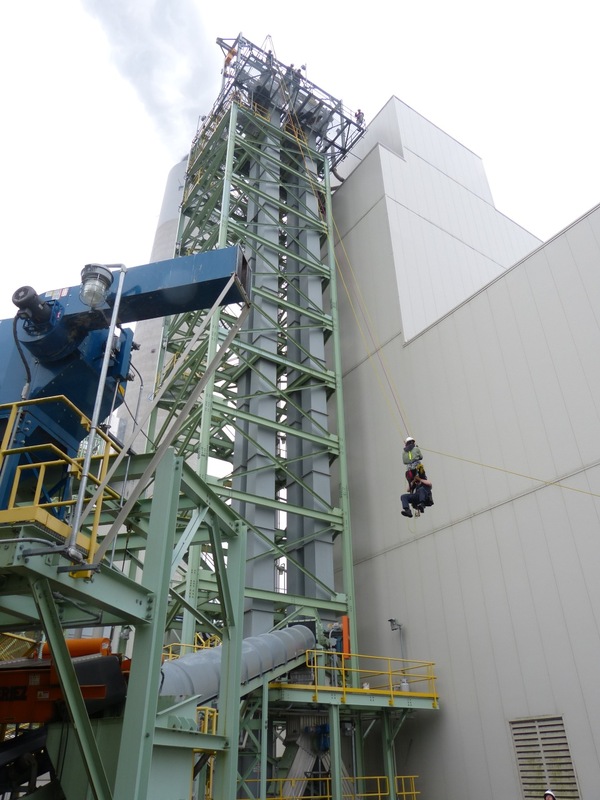 Recognizing the need for advanced-level train-the-trainer instruction on the use of any "artificial high directional" (AHD), RTR is now offering the 7 day ARTIFICIAL HIGH DIRECTIONAL WORKSHOP suitable for fire emergency and rope access professionals. 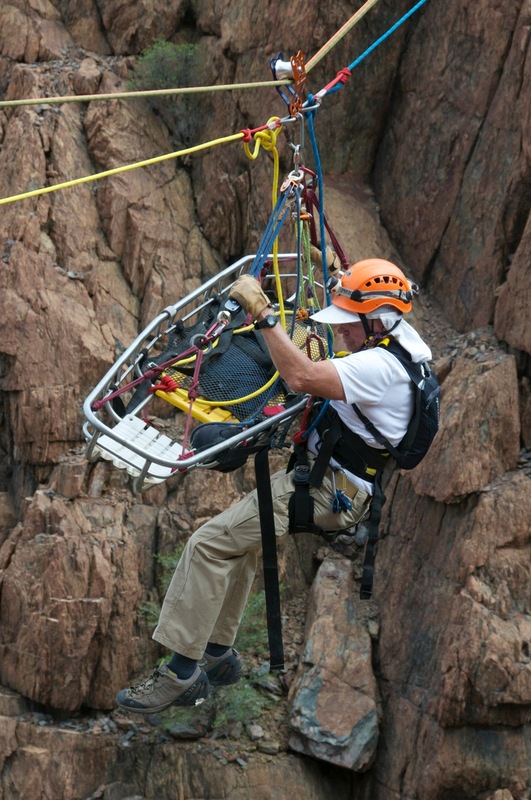 From Reed Thorne, the co-designer of the Arizona Vortex, this AHDW is meant to assist the rope rescue instructor with information relative to the use of manufactured high directionals. This workshop would be suitable for ANY manufactured or improvised high directional (not including wood frame) including the Larkin Frame, SMC Terradaptor, or Ferno Aracnipod (students requesting training on these AHD are required to bring these devices with them to their program). 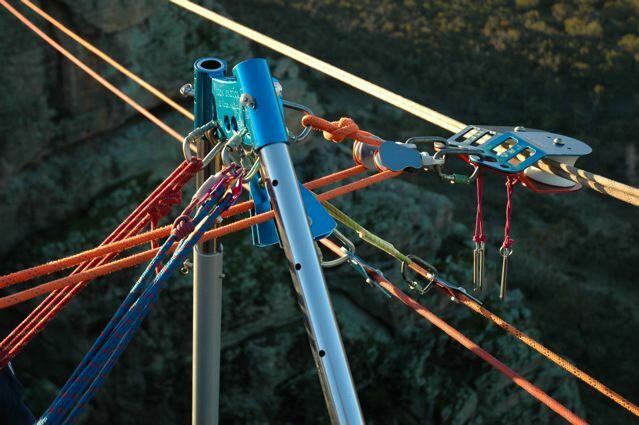 This program concentrates on constructoed frames in general and is not intended to teach highlines, advanced pulley systems, or offsets (although some of these are touched upon). Physics, as it relates to high directionals, is covered in an extensive manual and several lectures. The AHDW is a hands-on workshop on the use and correct implementation of artificial high directionals (AHD) for industry and wilderness settings. 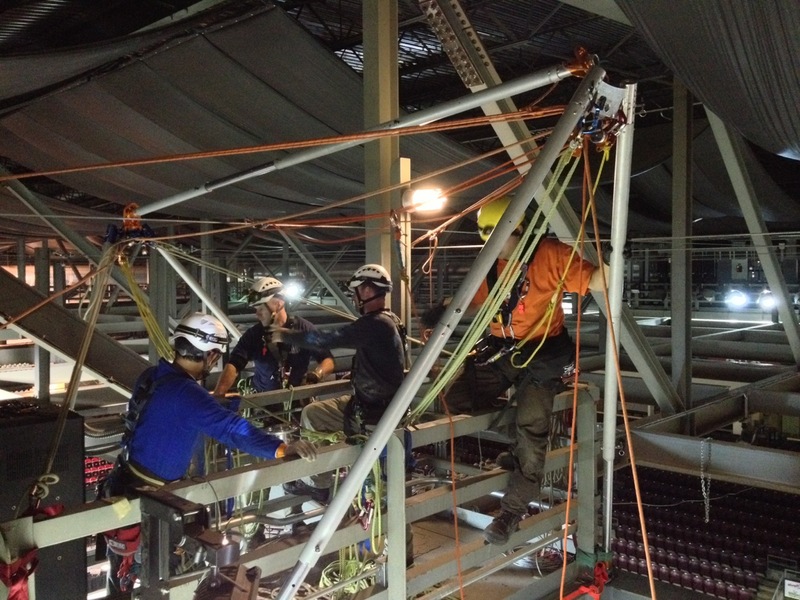 The AHDW is also well suited for teaching rope access professionals the benefits of constructed frames in their work. At-the-edge, and back-from-the-edge AHD set up. Working with the Arizona Vortex bipod (A frame or Sideways A frame); guying concerns etc. 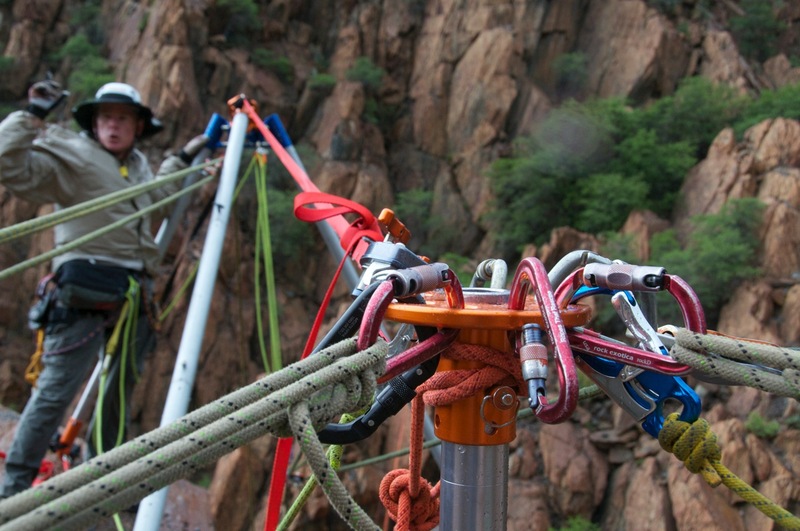 Working with the Arizona Vortex monopod (gin pole); guying concerns etc. Below: The abandoned Jerome Hotel in historic Jerome, AZ makes the perfect AHDW venue for constructing the Arizona Vortex "Doortex" with the "Sedona Penetrator". 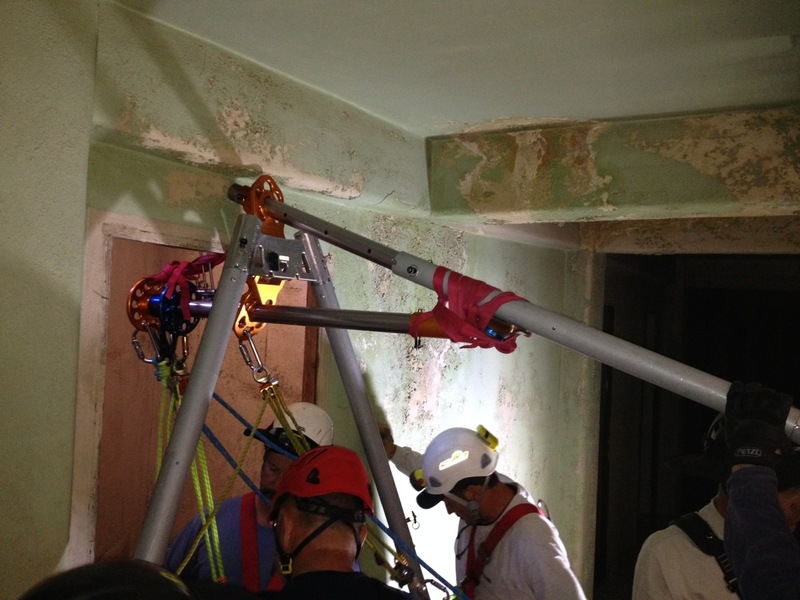 This photo is from 2014 Industrial Rescue Workshop which parallels the AHDW in some ways. 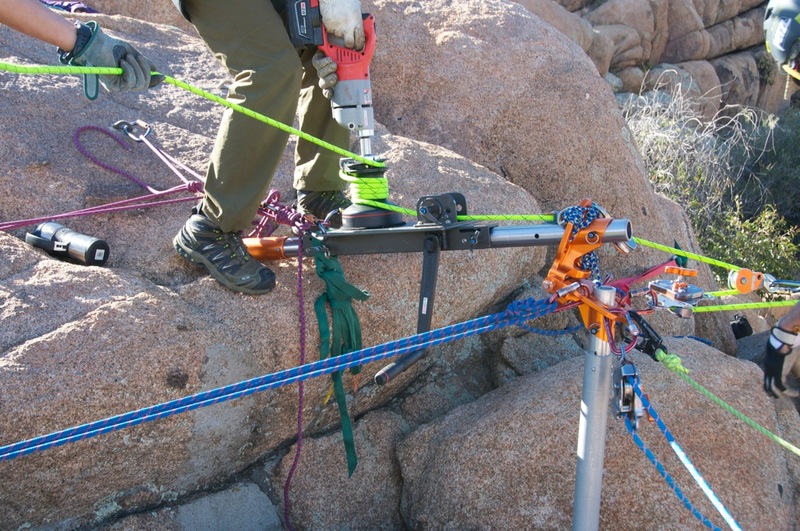 Below: A Skyhook® capstan winch stand constructed from the Arizona Vortex at Granite Dells AHDW in 2014. Below: Arizona Vortex program at Mt. Arapiles, Victoria, Australia in 2007. 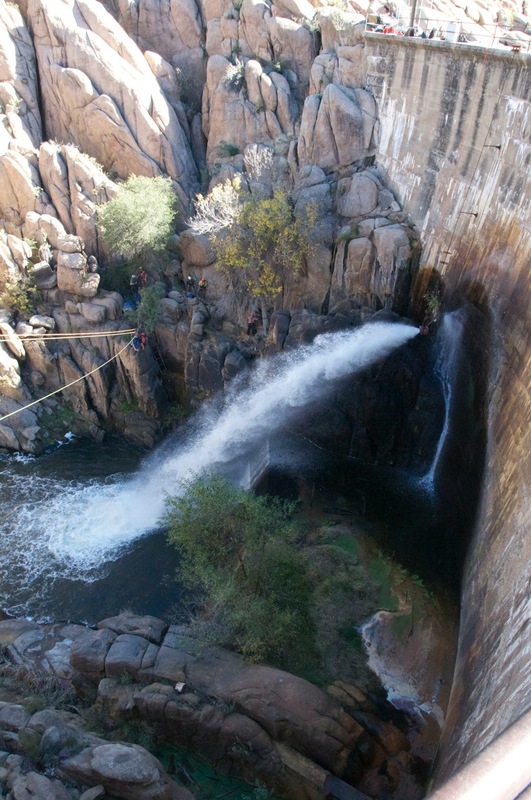 Below: 2014 "Watson Frame" (named after Watson Lake Dam) in the Granite Dells near Prescott, Arizona. Three Vortex kits were used in the making of this articulating frame. Below: Arizona Vortex program at Wherepapa, New Zealand in 2005. 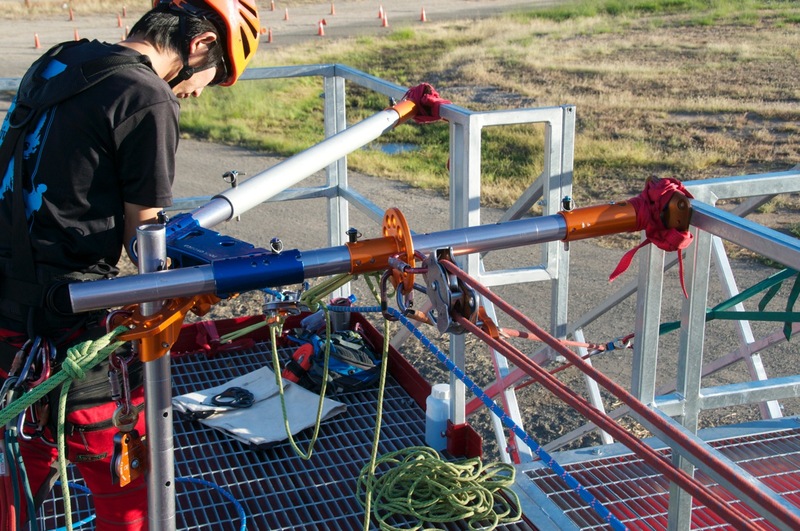 Below: 2014 program for all-Japanese students at Prescott Fire Training center. 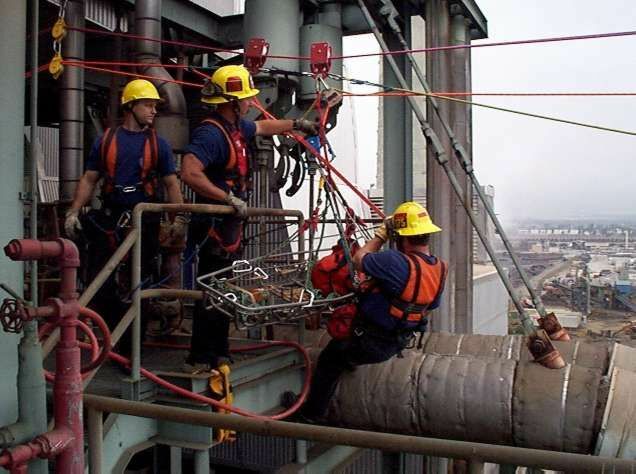 For years, emergency rope rescuers and rope access technicians have asked for a training program on temporary rigging employing elevated rope tracking elements. 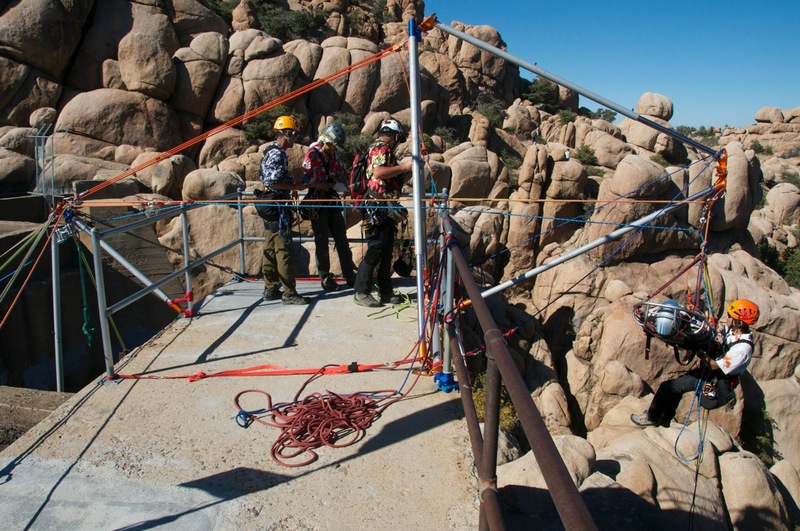 The OFFSET/HIGHLINE RESCUE WORKSHOP is just the type of program where these elevated options can be explored in detail. The program looks at subtle, yet fundamental differences between the use of high angle offsets and drooping and/or reeving highlines for canyon/industrial locations where abundant high anchors are plentiful. Therefore, this is NOT a program that explores highly tensioned spanning elements (like the Kootenay Highline System) where high or full strength connections are mandated at either end, but rather only a look at other low tension highlines that can be used over gaps with higher anchorages. The OHRW is not an extensive highline workshop like the Advanced Skills Rescue Workshop (that program focuses on 100% highlines and the Kootenay Highline System). 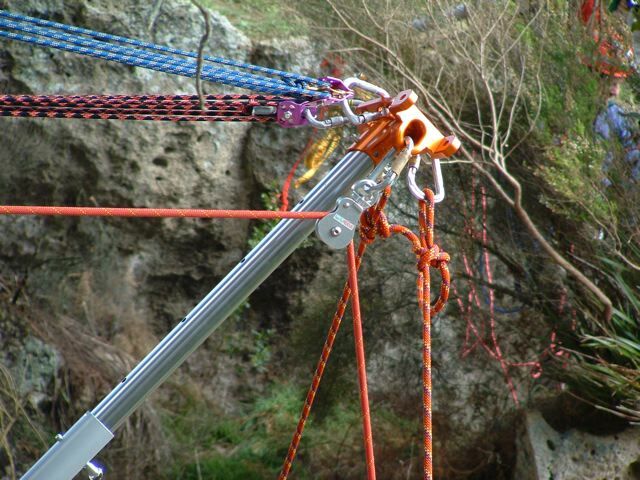 The course begins with simple and easy to understand lessons on physics relative to ropes under tension used above the ground and how to keep spanning element anchoring forces low. The program moves between the subtle, yet substantial, differences between minor and major offsets and then moves into the distinctions between offsets and highlines. 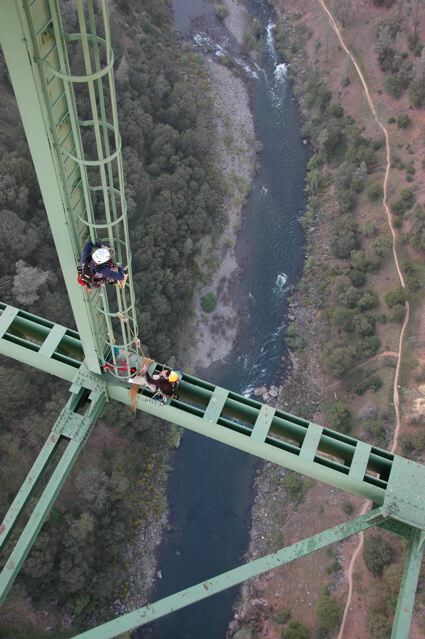 For rope access technicians, this course gives the student the groundwork for elevated transporting systems for men and/or materials used in work. 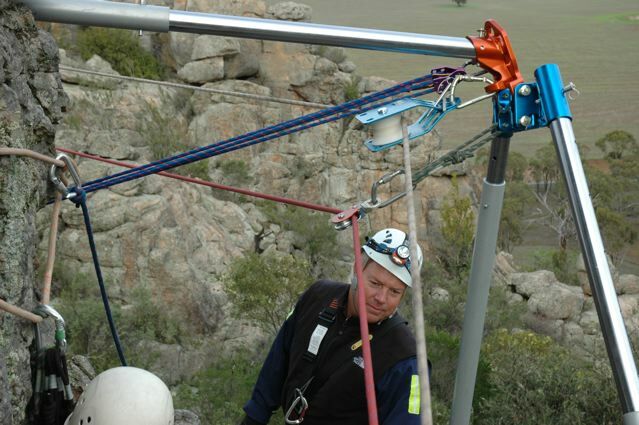 The OHRW also has lectures on extensive pulley systems which are used to provide tension for these aerial rope highways. More than just a "highline" seminar, the OHRW provides a multiplicity of lower tension options for the rope rescue and rope access technician without the excessive training and discipline that a strict adherance to the Kootenay Highline System. Additionally, the program is taught in an environment conducive to this kind of discipline. This is NOT a rescue course only. While the techniques can be applied to rescue work and often are, these methods may be used in any rope access endeavor. The real difference is that when human loads are applied, secondary safety lines must be employed at all times throughout the process of movement. The Personal Skills Rescue Workshop is considered by many past students as our most enjoyable, interactive and physically demanding. There is no shortage of "on-rope" time at this workshop! The PSRW, and the Team Skills Rescue Workshop are the courses which fulfill the 90% solution on most rope rescues within industry and wilderness locations. 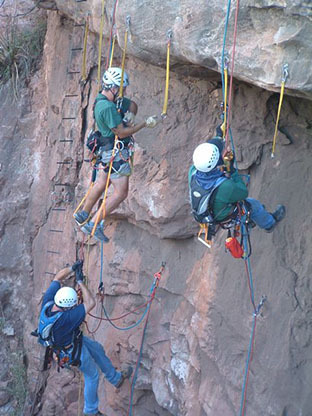 It is designed for the serious rope rescue practitioner wishing to improve their personal rigging skill and capability. This workshop is sometimes mistakenly perceived as a beginning program due to the personal nature of many of the evolutions. 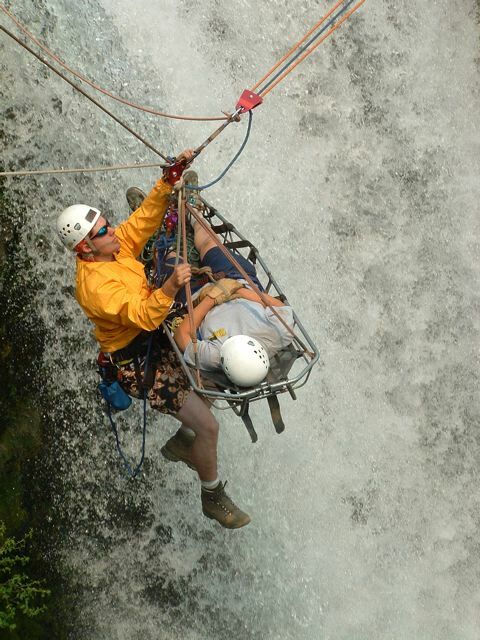 In fact, it is for those that never seem to get enough on rope experience or time over the edge. The PSRW begins with valuable, yet simple definitions for belays, self belays, conditional belays and conditional self belays and how these differ in their engineering. It goes into important orientation on personally carried gear such as ascenders and descenders, self belay devices, Purcell prusiks, the all valuable AZTEK kit and other items essential to safety in the vertical realm and then moves into practical and fun-filled days where multiple one-on-one rope stations keep the practitioner busy throughout the day. Students in the PSRW practice their skills and learn to work together as a team in successful retrieval of this patient in a non-threatening environment. These are found in the Seven Minimalist Rescue Archetypes (7MRA) that lay a groundwork for understanding how solo versus semi-solo rescues vary in their risk to the rescuer. The PSRW goes well into often overlooked personal skills that are taken for granted on most rescue teams. There is also considerable time spent on rope learning to climb/descend rope by multiple methods (even improvised if you drop your friction appliance). 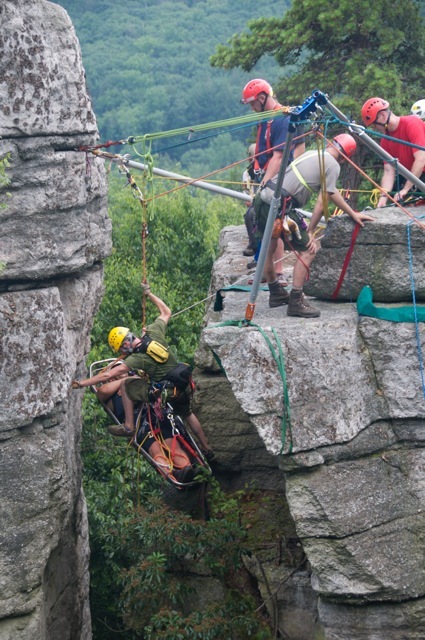 Passing knots, deviations, rebelays, rope to rope transfers, aid climbing and problem solving are all part of the PSRW. Proficiency through repetition to mastery are encouraged. There is a very very strong emphasis on advanced knotcraft in this workshop! Students are tested throughout the program for proficiency and the ability to tie under pressure. All in fun, of course! Improvisation and minimalism "What do you do if the gadget does not show up?" 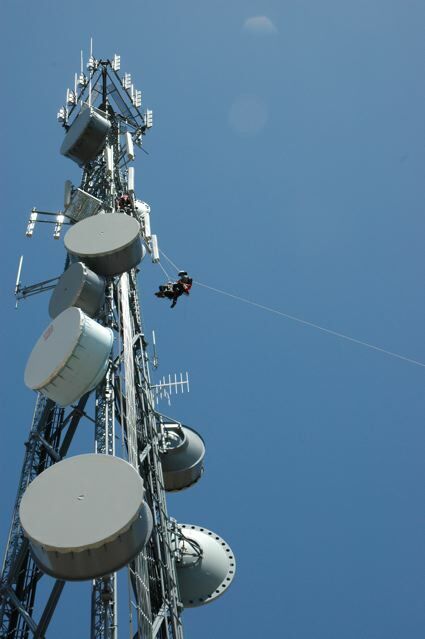 Above, a rope-to-rope transfer being practiced by a student high above the ground. 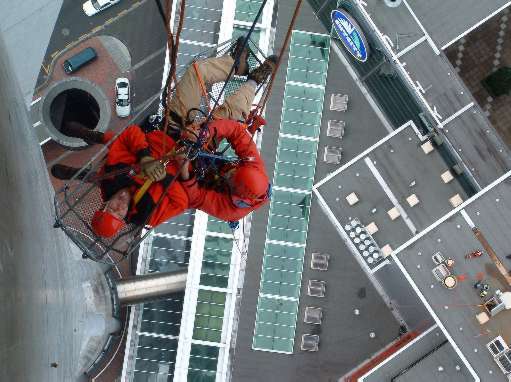 The PSRW is ideal for the rope access worker or technician. Left, students practice the Seven Minimalist Rescue Archetypes (7MRA) which is a staple of the PSRW. "Like you, I was humbled that first day of the course. I had come in thinking I knew plenty of cool stuff. The next day I began to get a little of the (RTR) "lingo" going, and started to understand the diagrams, etc. By the end of the 7 days, I had expanded my rescue paradigm more than the complete decade preceding it. That experience was truly a watershed event in my rescue career. And I already knew more than anyone I worked with or for before I went to the class. So that speaks to Reed and his excellent program, but you already knew that. (Above) Students erect a high directional at the Vertical Heartland in a southern illinois TSRW. (Right) Students learn the ropes at Mt. Arapiles, Victoria in Australia during RTR program. "The Team Skills Rescue Workshop was enjoyably challenging. Too often, we teach our teams how to do something without teaching them why we do it a particular way. Reed and Pat spent a lot of time explaining the why behind the how. 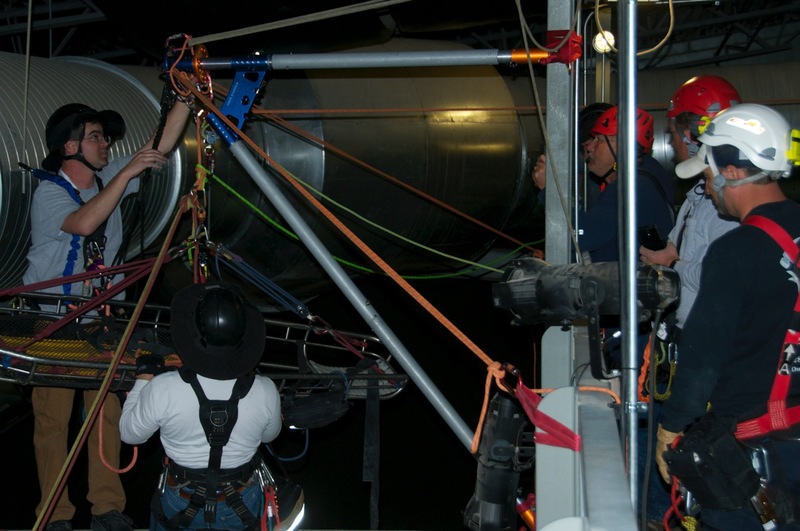 Without understanding the physics behind a procedure, most teams are unable to adapt their rigging to non-textbook rescue scenarios. If we were exposed to procedures in the seminar that differed from our SOPs, the instructors supported the RTR procedures with exceptionally sound mathematical and practical justification. Comparative analysis of various systems was enlightening. RTR's abilities to tailor the training to a particular group was much appreciated. 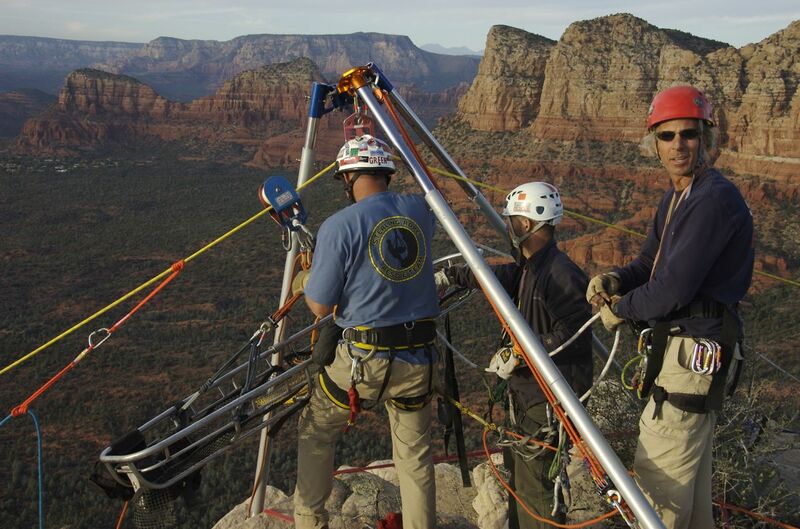 A team charged with backcountry rescue needs different training, equipment, procedures, etc., than an industrial rescue team. Reed seemed to have a genuine desire to show us ways we could decrease the amount of weight and bulk carried into the field without compromising system safety. Again, all his suggestions were supported with sound mathematical and practical justification. As a result, our team will be altering (and improving) some of it's rigging procedures." The Advanced Skills Rescue Workshop is held only one time during any given year and is a seven day seminar dealing with the remaining "10% Solution". This rigorous course "for wizards" applies some aspects of the TSRW yet goes well beyond these both in intensity of rigging, and application of physical principles. The course begins abruptly with an impromptu field exercise to assess existing skill level within the "team". Emphasis is placed on low tech solutions to rescue scenarios before heading into technical solutions in the form of highlines. 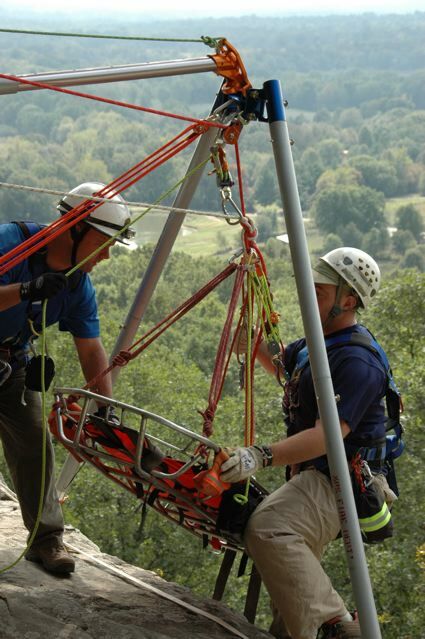 The seminar then explores all the available possibilities for setting up a horizontal, sloping or steep highline for removing, transporting or inserting rescuers or a patient. The main event of the eight day ASRW seminar is an extreme highline of over 600' station-to-station high above the valley floor treetops. 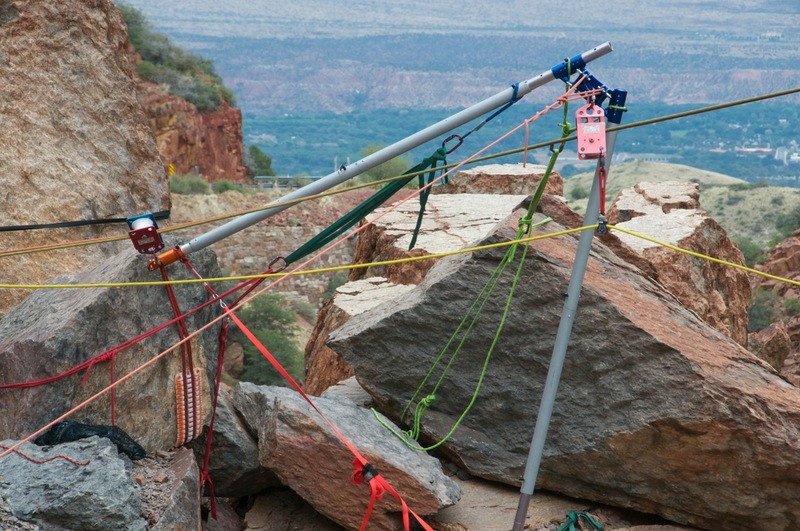 The ASRW also explores all aspects of advanced rigging including fall factors (ideal and practical), and reviews the belay drop test data more acutely than previous courses. The ASRW is rigging intensive! Reeve system between generator towers at the Etiwanda Generating Station.